A premier tourist destination in Europe, Portugal is also a prime location for purchasing overseas property. The Portuguese property market continues to attract both lifestyle purchasers and long-term investors. Portugal is a long-time favourite destination for British tourists, who make up the largest percentage of foreign visitors to the country. With a warm climate, stunning landscapes, and a short flight from the UK, it’s little surprise Portugal attracted 1.5 million British tourists in 2014. Boasting one of the strongest tourist destinations in all of Europe, Portuguese property features a large contingent of foreign buyers looking for a second home or even an investment. The global recession hit Portugal very hard, damaging the tourist and property market significantly, but the country has since recovered, coming out of its worst recession in 2014. Since then, it’s economy has shown surprising growth, with tourism leading the way - foreign visitors to Portugal surpassed 10 million in 2016. Brits are now one of the leading contingents of overseas buyers, particularly in the sun-kissed Algarve region. While most property buyers are driven by lifestyle rather than return on investment, the Portuguese property market continues to recover at a rate that makes finding a great investment opportunity much easier. One visit to Portugal and it’s easy to see why so many tourists and overseas buyers are attracted to the western most country on the Iberian Peninsula. With year-round sunshine, hundreds of golden sandy beaches, endless stretches of azure water, quaint fishing villages, bustling cities, and some of Europe’s premier golf destinations, is easy to see why Portugal attracts such a diverse range of buyers and tourists. Also, with a diverse range of properties and some of the best prices in all of Europe, there are properties available to suit every buyer and budget. Better still, getting to Portugal has never been easier. It’s around a three-hour flight from the UK, making it a prime spot for short breaks and longer stays. Whether it’s several long weekends throughout the year or a long stay during the summer, buying a second home in Portugal offers the best of both worlds. Portugal offers great potential for buying property, but as with any property purchase, finding a suitable location is key. Unquestionably the most alluring region for overseas buyers, the Algarve boasts a stunning Mediterranean climate with an average 300 days of sun. It is home to breath-taking stretches of beaches, coves and cliffs, with quaint fishing villages and towns dotted along the 155km coastline. 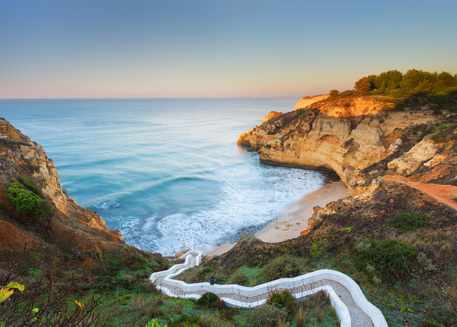 Home to some of Europe’s best golf courses, incredible seafood cuisine, amazing fishing, and the Algarve is only a 2 to 3-hour flight from the UK, making it the perfect location for weekend vacations. The region is home to a diverse range of property, including townhouses, apartments, and villas, contributing to a very strong Algarve property market. The Algarve falls into three distinct regions, all of which remain the most popular destinations for overseas buyers. Located in and around Vilamoura, this region of the Algarve has some of the most developed properties and is highly populated, making it a fine location to buy. A massive tourist destination, it features luxury resorts, casinos, bars, cafes, and restaurants, as well as attractive marinas and various golf courses. 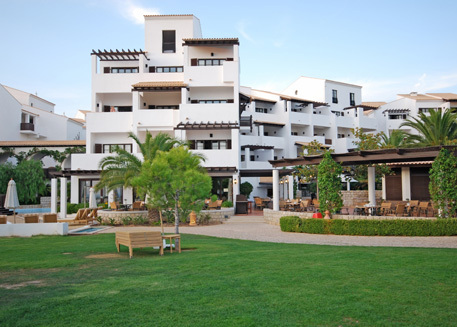 It has a diverse range of properties in various locations throughout the region, including apartments, villas, and town houses, with prices to suit most budgets. Although viewed as a less developed area than central Algarve, the western region still offers a range of wonderful properties and locations for many buyers. 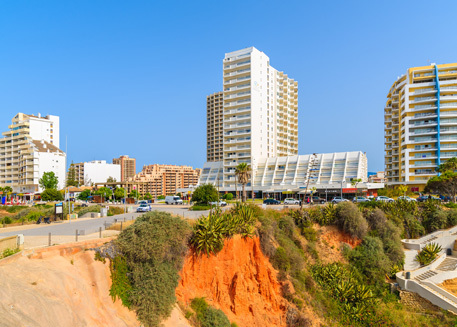 Lagos is perhaps the most prominent destination in this area, although Praia da Luz is also a fantastic area to buy, especially for those seeking a quieter retreat. There is a very rural vibe to western Algarve, with smaller fishing villages and rustic towns dominating the region. It also has some of the best prices for overseas buyers, being especially appealing to families and retirees. The least developed region of the Algarve, the eastern area has plenty to offer for prospective buyers, from picturesque towns to endless stretches of breath-taking scenic landscapes. Most tourists are familiar with Faro, which is the capital city of the Algarve and home to the region’s main airport. The city itself is steeped in tradition and a wonderful location to buy, while beautiful towns such as Tavira highlight the diverse range of tourist attractions that drive the region’s well-priced property market. Located north of Lisbon, the Silver Coast has long lagged behind the Algarve in terms of property development, but now the area looks set for a boom period that makes it a prime location for a shrewd investment. 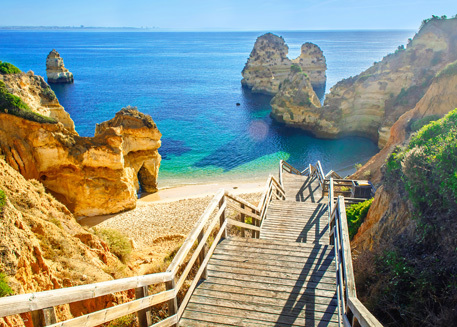 A fantastic alternative to the hustle and bustle found throughout the Algarve, the Silver Coast is mostly unspoilt, boasting long stretches of gorgeous sandy beaches, lagoons, coves, cliffs and caves. It’s close proximity to Lisbon provides a fantastic transport link for travelling Brits, while the growing property market should appeal to investors and lifestyle buyers alike. Prior to the global financial crisis, the Portuguese property market enjoyed a boom period, with price values reaching all-time highs. However, as Portugal would be one of the worst-affected countries by the global recession, prices dropped significantly. While certain areas suffered drops as high as 40-50%, especially in central and western Algarve, many areas were not as badly effected thanks to a lack of oversupply found in countries such as Spain. Recovery has taken some time, with the market becoming more stabilised from 2014 onwards, where the market was at an all-time low. Because fewer properties made it onto the market, prices have become further strengthened in recent years, with projections that prices are set to increase by 5% per annum. As the economy continues to improve, house prices in Portugal are on the rise. This represents many opportunities for buyers and investors, with increasing prices highlighting the potential for a high return on investment in a few years’ time. Prices are still a long way from reaching their peak figures during the boom of 2007, but a recovering economy and property market means there is a lot of potential for current buyers. 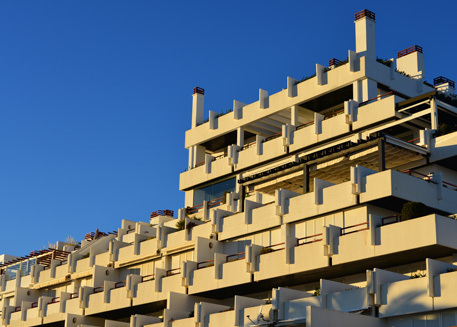 With no restrictions on foreign property ownership and low transaction costs, British buyers stand to benefit from the recovering Portuguese property market. Despite projected growth and a stable market, prices for Portuguese property offer great value, remaining some of the lowest in Europe. Prices remain highest in Lisbon and the Algarve, although the latter has the development of a more diversified market. While central Algarve was once the prime location for real estate in the region, buyers have looked towards the previously underdeveloped western and eastern regions of the Algarve, where prices are beginning to match those found in the central region. From big-name resorts with villas that sell for several millions to more affordable inland areas, the Algarve property market accommodates most buyers, while markets further afield present a strong market for buyers. Despite the pound weakening against the euro in the wake of Brexit, Portuguese property prices remain much lower than the rest of Europe, helping to attract new buyers even in the wake of the Brexit vote. As a result, UK buyers stand to get more value for money compared to most other countries in Europe, although the process of transferring money into a Portuguese bank isn’t as straight-forward as it appears. Buyers often believe the only way to transfer their money abroad is through their bank. While this is possible, choosing to transfer money with a specialist currency firm offers better value for money. By offering better exchange rates than a bank and less costly transfer fees, it’s almost always better to transfer money with a specialist currency exchange, which can save as much as 4% of the total cost compared to doing so with a bank. Like with buying most foreign properties, there are additional costs to expect when buying a home in Portugal. On top of the property value, you can expect to pay transfer tax and stamp duty, along with legal, notary, admin, and registration fees. Stamp duty is currently at a fixed rate of 0.8%, while notary, admin and registration fees are 1-2% of the buying price. Estate agency fees are paid in full by the seller, so there are no additional fees in this regard. Remember that fees differ from region to region, and while some are easier to predict than others, you should expect to pay a further 10% of your total property price in additional fees when in Portugal. Of course, buying the property isn’t the end of your expenditure, as there are ongoing running costs that must be considered too. These costs are harder to predict, depending on things like the condition of the property, although utilities, maintenance, and repair bills are more obvious and easier to calculate in advance. You will also need to pay the Portuguese equivalent of UK council tax, which is known as IMI. These rates vary from between 0.3 to 0.8% per annum. For new property developments that are a main residence, IMI may not be required for as long as six years. The purchase process for property in Portugal is quite straight-forward for UK buyers. Begin by hiring an English-speaking lawyer to protect your interests, while you may want to hire an English-speaking estate agent with a government licence (look for an AMI number). The first stage of buying property is known as the preliminary contract. Once you make an offer for property and agree on a price, this contract is signed in the presence of a notary, after which you pay a deposit between 10 and 30% of the purchase price. This is done to protect the interests of both the buyer and seller. For example, if the buyer were to back out of the purchase, then the deposit is forfeited. Should the seller withdraw from the purchase then double the amount of the deposit is returned. Before this contract is signed, your lawyer will be tasked with gathering the necessary legal documents. The first of these is the property registration certificate, which is obtained at the local Land Registry. This document ensures the seller owns the right to the property and that there are no additional charges to be paid. It also details the legal history of the property and proof of ownership. An official property tax document is also required, which your lawyer will obtain from the local tax office. This document includes the property’s fiscal number, a description of the property, and details of the current owner and their fiscal number. The final document needed is a licence of use. This is obtained at the local town hall, and can be used to determine whether the property is approved for the original building permission. All the above documentation must be present during the signing of the preliminary contract. The second and final stage of the purchase process is known as the completion of the purchase. This will occur roughly 4 weeks after signing the preliminary contract, and both the buyer and seller must sign this contract - your lawyer can do this on your behalf if you grant them power of attorney. You are required to pay the final balance of the purchase price, transfer tax, and all other notary and admin fees. After this, you are responsible for all insurance of the property, so make sure you have a suitable insurance policy. The property and registration are transferred in front of an official notary, after which they must be registered in your name at the registry office and local tax office. Then, the property is officially yours! There are various taxes that must be paid when buying and living in property in Portugal. The first tax paid on your property is a transfer tax that occurs when you first purchase your new home. Rates range from 1% to 8%, depending on value of the property, and whether it’s a first or second home. Stamp duty is also paid at this time, costing 0.8% of the purchase cost. Newer developments don’t pay this, instead paying a higher VAT, although this is always included in the final price of the property. All property owners in Portugal must pay local property tax, known as Imposto Municipal sobreImóveis (IMI), being calculated on the tax registration value of urban and rural properties. Basically, this is the Portuguese equivalent of the UK’s council tax. Rates are between 0.3% and 0.8%, with the amount due being based around the type of property and its location and age. Rates can be increased on vacant properties. 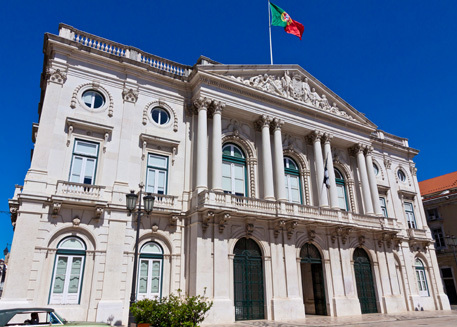 The newly introduced AdicionalImposto Municipal SobreImóveis (AIMI), is Portugal’s equivalent of wealth tax, which is charged on purchased property worth over €600,000. Rates are set to 0.7% for individuals, rising to 1% should the value be over €1 million. Relief is offered to the value of €600,000 per person, which means married couples and partners with joint ownership only need to pay this if their property is valued above €1.2 million. Should you buy and rent property in Portugal, the income gained is always taxed, regardless of your residential status. A flat rate of 28% is charged on all rental income, although rental income can be combined with your other income and be taxed at normal scale rates. UK residents also need to pay tax in the UK, and as tax values are calculated differently in each country, expect to be taxed different amounts. Maintenance expenses and property tax can be deducted from any rental income, providing they are documented. UK buyers have long been attracted to purchasing property in Portugal for obvious reasons, but recent legislation highlights an often-overlooked benefit of moving to Portugal as a long-term residence. This preferential tax regime, called the Non-Habitual Regime (NHR), was introduced in 2009 in the hope of encouraging people to move to Portugal. It offers a highly beneficial tax process for new residents during the first ten years of their stay, being available to both working professionals and retirees.